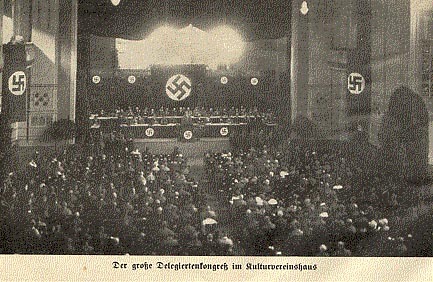 Background: This page includes five of the twelve pictures from a 1927 Nazi book on the Nuremberg rally of that year. 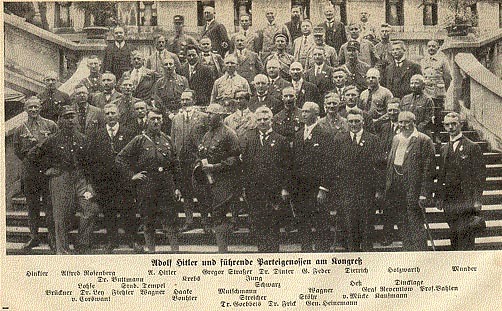 The source: Alfred Rosenberg and Wilhelm Weiß, Reichsparteitag der NSDAP Nürnberg 19./21. 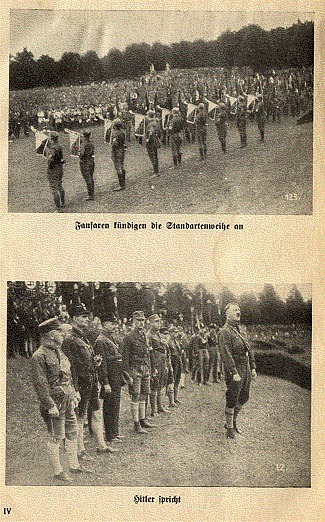 August 1927 (Munich: Verlag Frz. 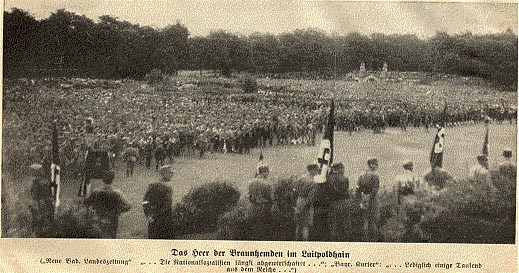 Eher, 1927). This interesting picture shows the gathered Nazi leadership. Some of them (e.g., Dinter and Strasser) later fell into disfavor. Go to the page on the 1927 rally.